To get your own Ceramic Mug, make your gift now. To get your own Election Pack, make your gift now. To get your own Travel Mug, make your gift now. To get your own Frequency Mug, make your gift now. To get your own Water Bottle, make your gift now. To get your own "I Love Public Radio" Tote, make your gift now. To get your own Pint Glass, make your gift now. To get your own Reporter Notebook, make your gift now. To get your own Sustainer Mug, make your gift now. To get your own "I Love Public Radio" long sleeve shirt, make your gift now. 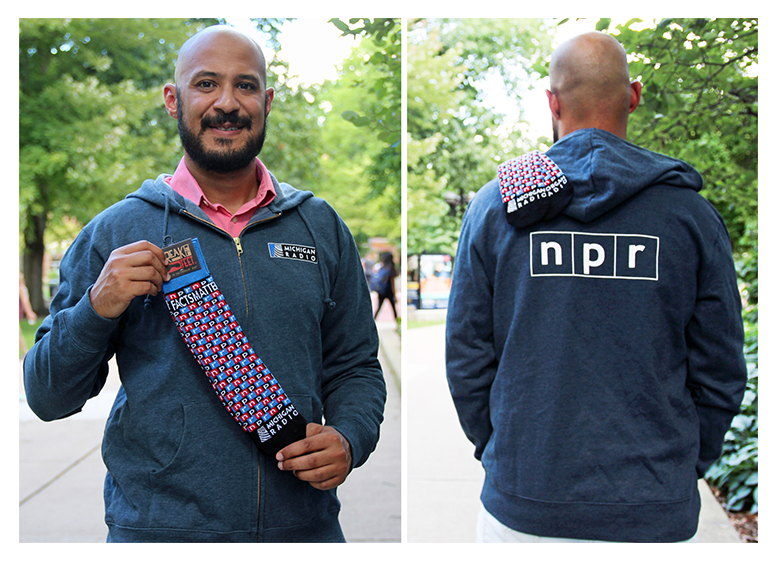 To get your own NPR Fan Pack, make your gift now. To get your own Public Radio Nerd Kit, make your gift now.